Byung-Soon Lee, soprano, a native of South Korea, received her Bachelor of Music degree at Yon-Sei University in Seoul, Korea. The Korean Concert Society presented Byung-Soon for her recital debut with pianist Xak Bjerken at the Terrace Theater in October 1999. She won various competitions in Korea–the KBS (Korean Broadcasting System) Young Artist Competition, Dongah Music Competition, and many more. She received her Master of Music degree at Peabody Conservatory of Music of the Johns Hopkins University Baltimore, Maryland where she studied with Ruth Drucker and Mark Markham and completed the prestigious Artist Diploma program. 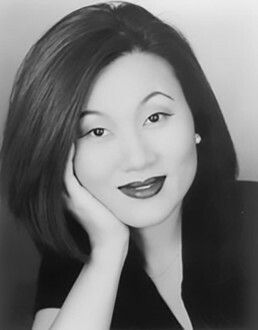 Byung-Soon has participated in many master classes throughout United States and Europe, with such musicians as Dame Joan Sutherland, Richard Bonynge, Elly Ameling, John Shirley-Quirk, Graham Johnson, Montserrat Caballe, Paul Sperry and many others. She also performed the role of Pamina in Mozart’s Die Zauberflöte and Tytania in Britten’s A Midsummer Night’s Dream with Britten-Pears School Opera at Aldeburgh Festival in England 1997 and 1998. She also appeared as L’Ensoleillad in Massenet’s Chérubin and Princess in Ravel’s L’Enfant et les sortilèges with Peabody Opera Theater. One of the highlights in 1997 was reaching the National Finals of the Metropolitan Opera National Council in New York.